Kaylah Grant leads a pack of runners during the Central Coast Section Track and Field Championships held at Gilroy High School. Grant finished an third in the 3,200 meters and fifth in the 1,600 meter races. Kaylah Grant is one of the highest ranked runners in the Bay Area, holding multiple school records in cross country and track and field. 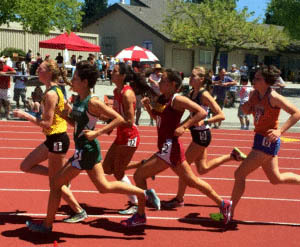 The Live Oak High School junior was one of more than 400 athletes competing at this year’s Central Coast Section Championships held Saturday, May 20, at Gilroy High School. Many of the athletes have been working year-round for the opportunity to compete at such a prestigious sports event. For South County athletes, having a prestigious meet like the CCS right in their neighborhood made this year’s competition extra special. The day quickly turned torrid with the heat baking competitors and spectators alike. With temperatures reaching well into the 90s, an already challenging race gained a whole new hurdle that the athletes needed to overcome. Grant won both the 1,600 meter and 3,200 meter races in the Blossom Valley Athletic League championships. “Normally I like CCS, but today I didn’t because of the heat,” she said. Despite the weather, she was one of two Morgan Hill athletes to progress to the CCS finals, finishing an impressive third place in the 3,200 meter and fifth place in the 1,600 meter in the preliminary round. Brenden White, a Live Oak High School athlete, throws the shot put. The talent Morgan Hill boasted at the meet was not only on the track. 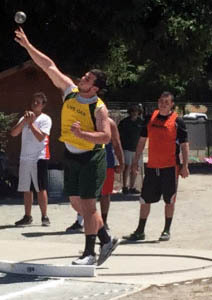 Brenden White was the only field athlete from Morgan Hill and did the town proud with his dedication to training paying off as he finished in the top 20 in both the discus and shot put. He’s been competing since the seventh grade and has loved the sport ever since. One of the few athletes at Live Oak to have competed at CCS every single year of his high school career, the junior is now an experienced veteran of the meet. White owed much of his success to the training that he and Live Oak head track coach, Alberto Suarez, did every day, he said. Karen Arnold thought the CCS Finals event was especially exciting for the athletes. Affectionately known as “Karnold” to her athletes, the head coach for Oakwood High School has been a running coach for 30 years, both for cross country and track and field. She understands the sacrifices the student athletes must make to compete at such a high level. 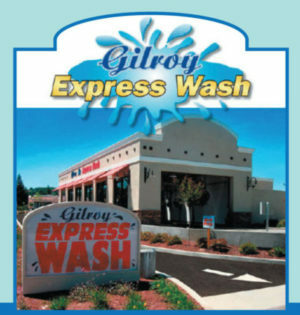 Gilroy High School serves as a frequent destination for big meets such as the Avis Kelley Invitational held in March, bringing in schools from all across the Bay Area to compete against one another. This was just the seventh time the school played host to the CCS Championships. The meet is usually held at San Jose City College, but renovations to that campus’s track led the Central Coast Section to chose Gilroy High, the first time the school hosted it in more than three years. 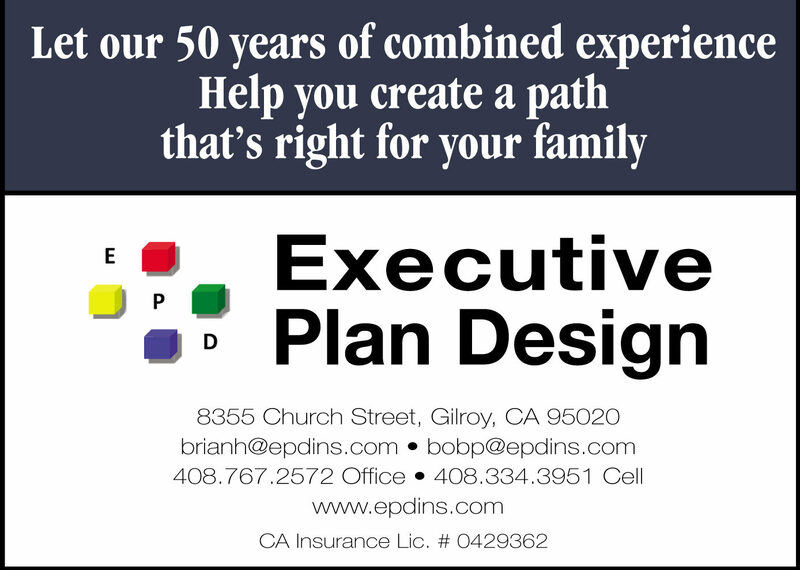 Gilroy resident Jeb Goldman is a sophomore at Oakwood High School in Morgan Hill.